Oil on Canvas, 36 x 24 in. Oil on Canvas, 48 x 60 in, 2010. Oil on Canvas, 48 x 60 in, 2012. 2015, Oil on canvas, 36"x60"
Oil on Canvas, 60 x 48 in, 2011. Oil on Panel, 16 x 16 in, 2014. The need to create has always been prevalent in Sally’s life. After graduating from University of Rhode Island with a BFA in 1985, she worked in several creative capacities, though not necessarily in the traditional sense. In 2008, Sally became a full time artist. 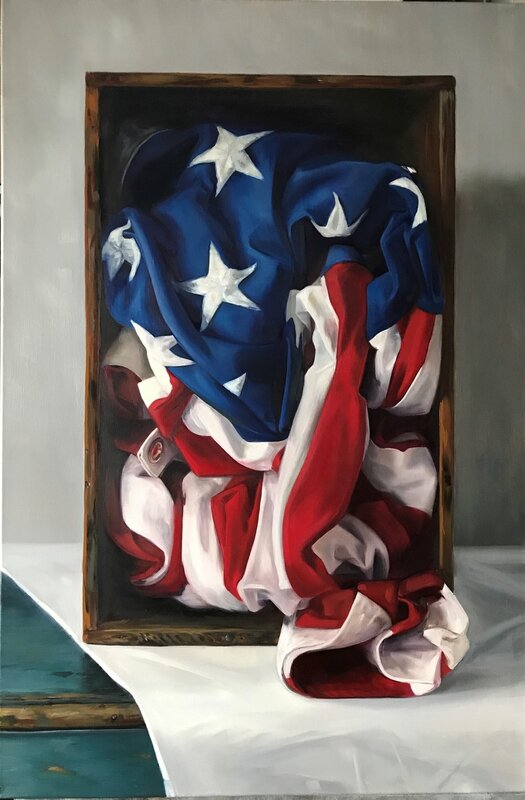 Sally currently prefers to work in oils and explores taking small, every day objects and painting them on a very large scale, focusing on color, form and most importantly light. 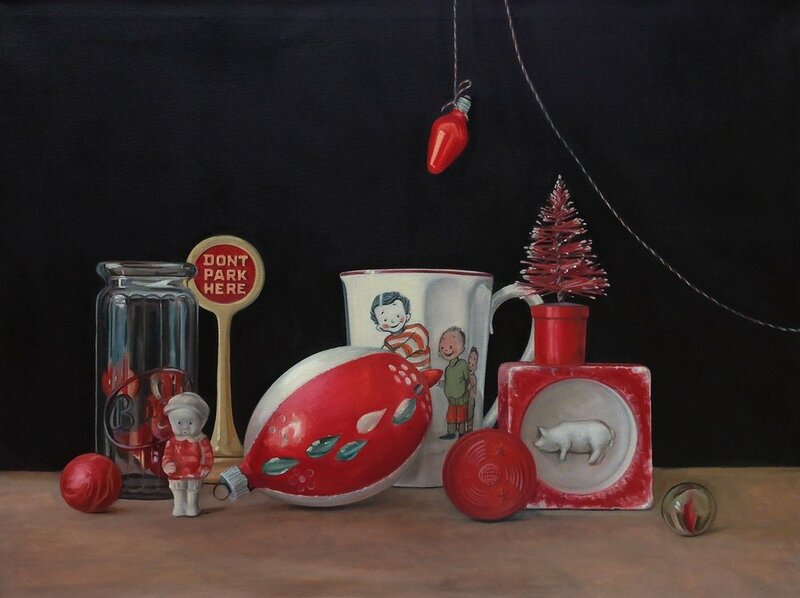 The objects she paints are aesthetically pleasing to Sally, and although there are schools of thought that ascertain that the subject matter is of no consequence, Sally chooses carefully what she paints. "I am often drawn to the old, marred, scarred and imperfect things in life, feeling the need to show a side of them that is beautiful, giving them a voice. 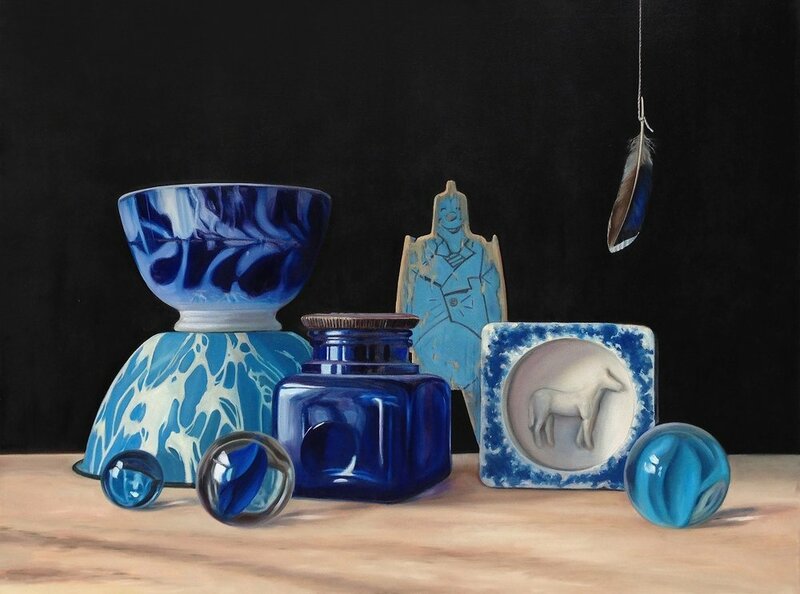 The objects I choose to paint hold an aesthetic beauty to me and I paint them in that light. I invite the viewer to experience the qualities in them that I find appealing and to seek the beauty in the often overlooked, sometimes imperfect items of life. Often painting very close cropped images, I strive for an energy between realism and abstraction. "